Competitions bring out the best innovations and ideas to the fore. EuroBLECH’s ‘Step into the digital reality’ online competition is one such contest that intends to showcase and reveal interesting aspects in the sheet metal working industry. “Digital transformation is now spreading rapidly to enable organisations of all shapes and sizes to reinvent themselves,” states famous author Pearl Zhu. This statement is so true and significant in today’s world where digitalisation has changed the dimensions of doing business. 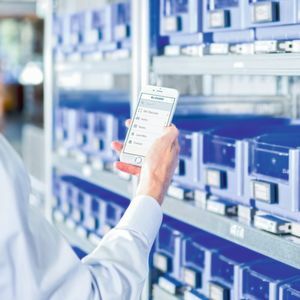 In the manufacturing space, the perks of this growing concept has attracted industry players to switch from their aged processes to digital and more advanced production lines. 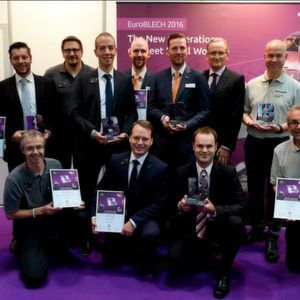 To take this idea further ahead, this year’s international sheet metal working technology exhibition – EuroBLECH which is expected to be held from October 23–26, 2018 in Hannover, Germany will be holding an online competition titled ‘Step into the digital reality’, which is also the motto of the trade show. The contest engages the businesses in digital as well as automated processes and aims to recognise some of the most exceptional best practices, innovations, excellence, outstanding performance by individuals or organisations in the sheet metal working industry, thus rewarding them accordingly. The competition comprises five core categories namely ‘Digital Transformation’ which will focus on the application of smart manufacturing methods, ‘25 EuroBLECH Shows’ through which visitors or exhibitors can share their funniest EuroBLECH story till date, ‘Cyber Security’ highlights the importance of securing data exchange within a sheet metal production environment, the ‘Best Start-up category’ will track outstanding performance of new businesses, and the fifth category ‘E-Mobility’ will invite pioneers in the lightweight and component design segment. The online competition is open for all companies across the globe that deals in the sheet metal working industry. Firms that match the requirements of at least one category and are setting an extraordinary example in one of these categories should not let go of this opportunity. One can log onto the EuroBLECH website to enter the contest latest by September 12, 2018 which will then be followed by an online voting system which will close by October 8, 2018. The winners are shortlisted by professionals in the sheet metal working industry via an online voting system on the show’s website. From the multiple entries to this contest, only five winners i.e. one from each category will be announced and awarded with a trophy and certificate at a formal ceremony i.e. scheduled to be held on October 24, 2018 at the trade show. To promote them further, they will also be given post-show coverage and their names displayed on the show’s website which will encourage them to carry out similar projects in the future. This competition is one of its kinds and companies should make it a point to participate in it as the contest fosters a sense of healthy competition and achievement among industry players in the sheet metal working sector.